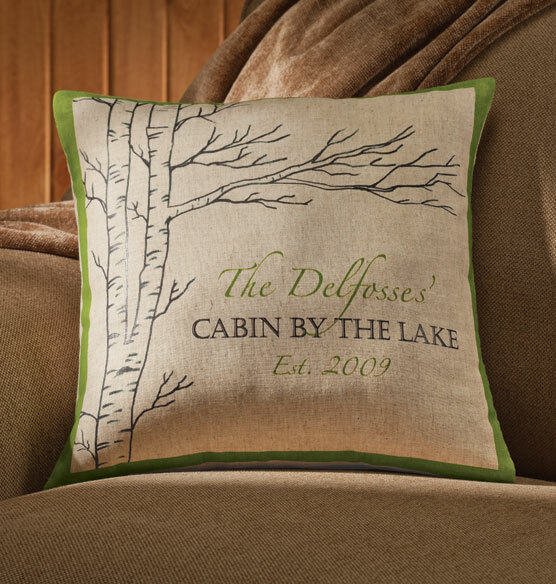 A welcoming, cozy addition to a cabin or cottage, this birch motif pillow adds a soft accent to a bench or chair. Perfect for an entryway or any nook that needs a decorative touch. Add a personalized name or message to make a thoughtful thank you gift for hosts after a visit. Is any other trim color available - or just the green as pictured? BEST ANSWER: Thank you for your question. Unfortunately no, this pillow is only offered in green trim. We hope this information will be of help to you.